This week, Your News to Know brings you the latest stories involving precious metals and the overall economy. Stories include: Why the next market crash won’t take down gold, central banks buy gold at fastest pace in three years, and retired man finds gold nugget worth $80,000. According to some analysts, we could be approaching a financial crisis that resembles the one from 2008 in most aspects. Streetwise Reports, however, writes that how some specialists think the gold market’s response would look nothing like it did a decade ago. Back in 2008, the yellow metal was boasting a seven-year bull market which gave way to speculation and overbought contracts. The large amount of leverage caused gold to be swept down along with other over-leveraged assets, pushing the price from a then-high of $1,030 to under $700 between March and September 2018. Gold would ultimately regain favor, becoming one of the instruments to combat a prevalent lack of liquidity. But this time around, gold investors won’t need to wait as market conditions for the metal differ greatly from those in 2008. Most of the cautioning analysts agree that the next crisis will have all the characteristics of the previous, precipitated by the very same methods that central bankers used to fight the first crash. But given the very different climate gold is in today, it likely won’t fall prey to the same loss of confidence that other, over-leveraged assets will. 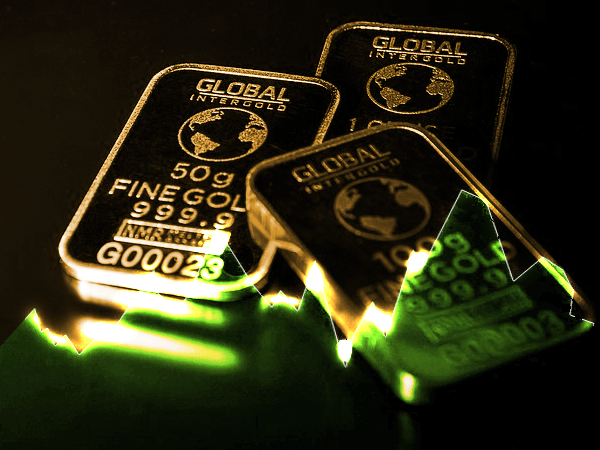 While investors barely realized at the end of 2008 that physical gold was the place to be, the article’s authors believe that they’re sure to be well-prepared to load up on bullion as soon as the next crisis hits. Likewise, central banks won’t need months to get their bearings. The authors also write that they will instead begin artificially pumping liquidity into the system right away. It’s speculated that we will see a crisis of similar magnitude and with similar causes on the horizon. But this time around, gold investors will stand atop the heap from the first day. According to an article on Kitco, the latest report from the World Gold Council highlighted an increase in central bank gold buying that was likely due to worries over the dollar’s role as the global reserve currency. The report showed that central bank gold demand rose by 8% in the first half of 2018, amounting to the sharpest increase since 2015. In total, central banks bought 193.3 tons of gold during the period. Russia once again led the way with 131.3 tons bought this year, followed by Kazakhstan and Turkey in the second and third spot. The WGC noted that gold is becoming an increasingly popular acquisition by central banks in emerging economies, listing Egypt, India, Indonesia, Thailand, Philippines, Mongolia and Iraq as other countries with notable bullion acquisitions this year. In the report, the WGC pointed to diversification as one of the primary motives behind central bank purchases, especially against the backdrop of negative bond yields. The analysts also said that central banks are looking to protect themselves against emerging market crises, such as the one currently gripping Turkey, by investing in an asset without any counterparty risk. The WGC also responded to allegations that Turkey is liquidating some of its gold to save the lira, stating that the drop in the country’s ROM gold holdings are a natural market function rather than a sign of liquidation. An amateur prospector in a remote part of Australia was treated to a remarkable find when his metal detector zoned in on an unusually large gold nugget reports Newsweek. The nugget, dubbed “Duck’s Foot” due to its shape, weighed in at more than 7 pounds and contains a total of 68 ounces, or 4.5 pounds of gold. The anonymous finder, who frequently prospects in the area of northern Goldfields, near Kambalda, Western Australia, said that the $80,000 nugget took some careful digging to reach. Rob Anderson, the owner of a nearby supply shop called Prospectors Pick, said that the retiree had made numerous finds in the area over the past years. Anderson added that the latest find shows that even relatively-depleted zones have enough gold to reward persistent prospectors. The area was recently home to a much larger discovery when Canadian gold mining company RNC Minerals found 9,250 ounces of gold earlier this month at the nearby Beta Hunt mine. The ore, worth $11.6 million, was found 1,500 feet below the surface in a tight space. The largest of the gold-encrusted rocks weighed around 198 pounds and contained 2,300 ounces of the metal, giving it a value of $2.7 million. Mark Selby, the company’s CEO, said that the rock could be the largest ever found and that it adds meaning to an already outstanding discovery. RNC’s find had major positive implications on the economy of the nearby Kambalda, a small town with a population of under 3,000 that has seen hardships due to the closure of nickel mines in recent years.